Breath of the Wild Differences Detailed Between Switch and Wii U | Nerd Much? Now that both the Switch and Wii U versions have been shown in detail, Nintendo has finally revealed what the Zelda: Breath of the Wild differences are. Nintendo issued a statement to IGN explaining a few of the key facts about each version. For starters, both versions will launch on March 3. They will offer the same exact content and have a frame rate of 30 frames per second. This is where the similarities end. 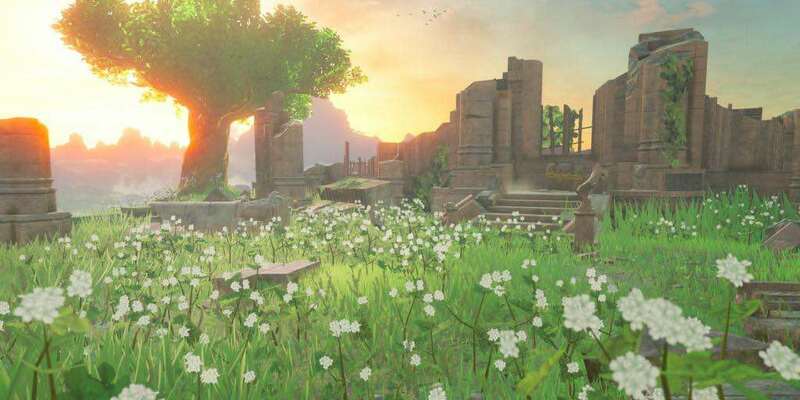 The Breath of the Wild differences mainly has to do with the game’s visual and audio quality. On a television, the Nintendo Switch version of the game is rendered in 900p. The Wii U version will be rendered at 720p along with the handheld variation of the Switch. Higher quality environmental sounds will also only be available on the Switch. Sounds made by steps, water, grass, and more will be much more realistic and add to the open-air feel. Beyond that, the Breath of the Wild differences are much more subtle. Icons, such as onscreen buttons will obviously differ between the versions. Additionally, the physical copy of the Wii U version will require 3GB of memory on the system’s or external hard drive. There will be no special edition or master edition available for the Wii U. For the most part, you will be getting the same experience regardless of which version you choose. If you really want to make sure you have the best possible experience, you gotta make the Switch. Without a new handheld to worry about, we have no doubt that the Nintendo Switch will have plenty of titles coming from all of the company’s tentpoles (in fact, here’s a list of the upcoming Nintendo Switch games of 2017 & beyond). It’s gonna be a great time to be a Nintendo fan.